Huawei P30 Pro series is one of the flagship-grade smartphones series by the company itself. The devices come with high-end specifications, waterdrop notch, and AI-capable cameras. If you’re an EMUI device user and want to taste the latest P30 themes on your device, you can download it from here right now. 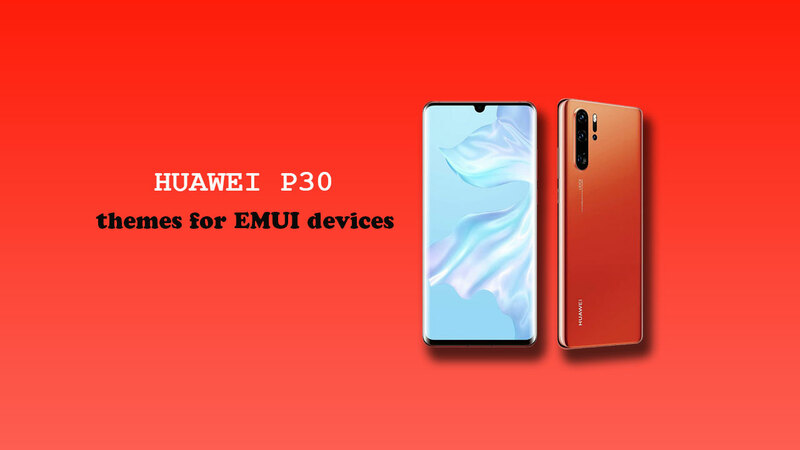 here in this post, we will share with you how to download Huawei P30 Themes for all EMUI devices and how to set it. The best part is that the P30 themes will work on all Huawei/Honor devices running on EMUI 8 or EMUI 9 custom skin. You can easily download and install the themes of Huawei P30 manually on your device. The device comes with a 6.10-inch 1080×2340 pixels resolution. The handset is powered by an octa-core HiSilicon Kirin 980 SoC coupled with 6GB of RAM and 128GB of internal storage. The P30 runs on Android 9 Pie with EMUI 9.1 and packed with a 3,650 mAh battery. The handset sports a 40MP primary camera, 16MP secondary camera, and 8MP third camera with AI features. The front does have 32MP selfie camera. Huawei P30 includes Wi-Fi 802.11 a/b/g/n/ac, GPS, Bluetooth 5, NFC, USB Type-C, 3G/4G LTE connectivity. While the device does have all the major sensors like accelerometer, ambient light, compass, gyro, proximity, and fingerprint sensor. The handset also features AI Face Unlock. You can download the theme in a zip format from the below link. Disclaimer! Huawei has stopped providing unlock bootloader support to their devices. So, the bootloaders of the Honor/Huawei devices can’t be unlocked, which means the users can’t root or install any Custom ROMs. First, Download the Huawei P30 Theme (zip) file from the above link and extract it on your device storage. Now, place the .hwt file in HWThemes folder in the root directory of your device storage. Now, open the Themes app and apply it from there.